Anyone on here happened to play a neat little indie game called "Oh...Sir!! The Insult Simulator"? It's a tongue in cheek gem of an indie title in which your goal is to compose witty insults to hurt your opponents pride, often using character specific phrases and - for the most part - trying to avoid using actual swear words, only making implication about how their family members make a living or something. So, I've been thinking... What if Arthur and the gang were made into playable characters? What kind of insults would they use? "You are as annoying as that Mary Moo Cow show and your sister has more "clients" than my mother!" "Well you're getting bullied by Fern and D.W. is the only thing you will ever hit!" Re: Insult Simulator... Arthur style! "You wear glasses and think like a Nerd!" "You have asma and believe in Aliens you Weirdo! "Your a cocky tomboy and think your better than everybody!" "Well you stutter like a Moron!" Well, the insults are supposed to be a little funny or absurd. Coyote_Mao wrote: Well, the insults are supposed to be a little funny or absurd. My bad, I couldn't help myself for having them say those words. I said to Arthur once - Please, the only trip you can afford Arthur is when you forget to tie your shoelaces! You can't beat a Crosswire! Muffy Crosswire wrote: I said to Arthur once - Please, the only trip you can afford Arthur is when you forget to tie your shoelaces! Oh, snap! That's a good one. Wonder what Arthur would retort with? "Well, your father only has a honorary degree and you're a small potato!.. Relatively speaking." There are 628 stars in the sky tonight. I know because I counted 628 stars in the sky tonight. 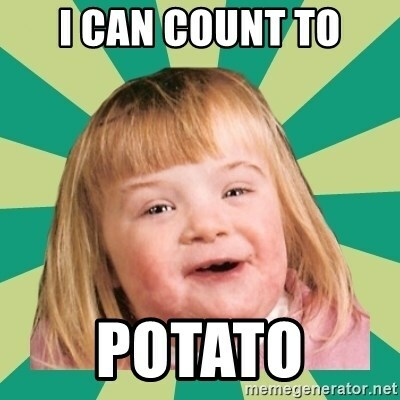 Yeah, but can you count to potato? I don't get it... Was it a Jojo reference? It was, wasn't it? Well Molly is a bully after all. I forgot to say It's a Dan Quayle reference too. "You're the only student I know with a G average." "Vomitrocious doesn't even begin to describe...!" "You remind me of Brussel Sprouts." "And I thought Wally was a dummy..."
"Why, I've been in swamps more fragrant than you." "Let me look into your future... I see... Nothing!" "Given your retorts to my inquisition, I can not fathom the incredulity of your lacking sagacious. And the somber thing is, you won't even be able to fathom the meaning of this sentence!" "The only thing uglier is an Aardvark with four eyes!" "And I thought Sue Ellen's sweater was ugly!" Thinking "Mother always said if you can't say anything nice..."
"Man, and to think I was embarrassed of ballet! Your thing is much worse!" "I should've stayed with my dad..."
"You're as deep as a Spooky-Poo episode..."
Quantum Storm wrote: Thinking "Mother always said if you can't say anything nice..."